The 2015 Audi A7 family - which includes the Audi S7 and Audi RS 7 - changes little this year. But that's okay, since we don't think major upgrades are needed for this 5-door luxury car. 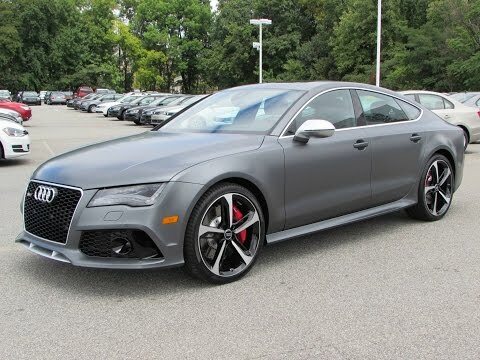 From the basic 3.0T to the high-mileage TDI diesel, or either high-performance model, the sleek Audi A7 lineup has something for everyone with means. It is pretty fast for a sedan. The performance of this car is just so amazing, also feels very luxurious. I haven't had any problems with this car. Very good interior that makes me feel comfortable. Must buy new window repairs because something hits windows making me buy new window repairs that happens. that it is a quality vehicle. I love the way it handles. the car starts and runs great.i wish i had picked a different color.